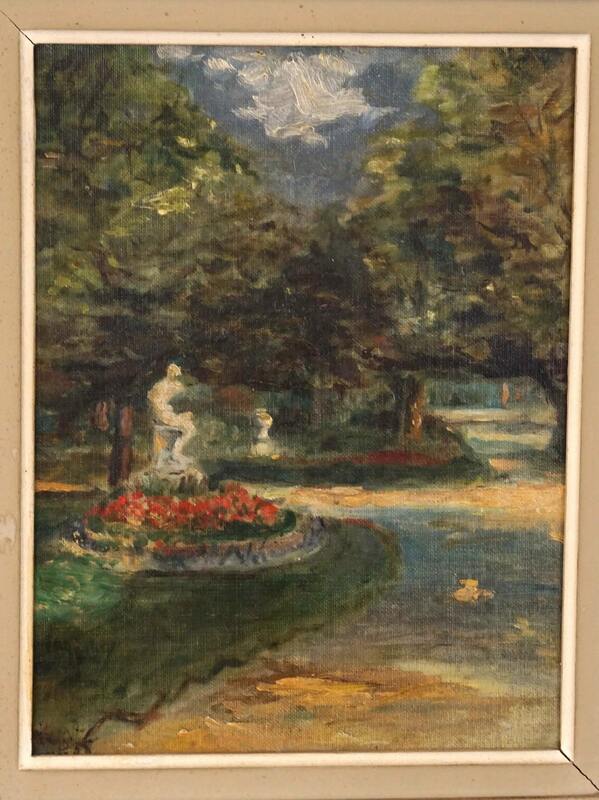 A beautiful Luxembourg Gardens Impressionist oil painting dating from 1905. 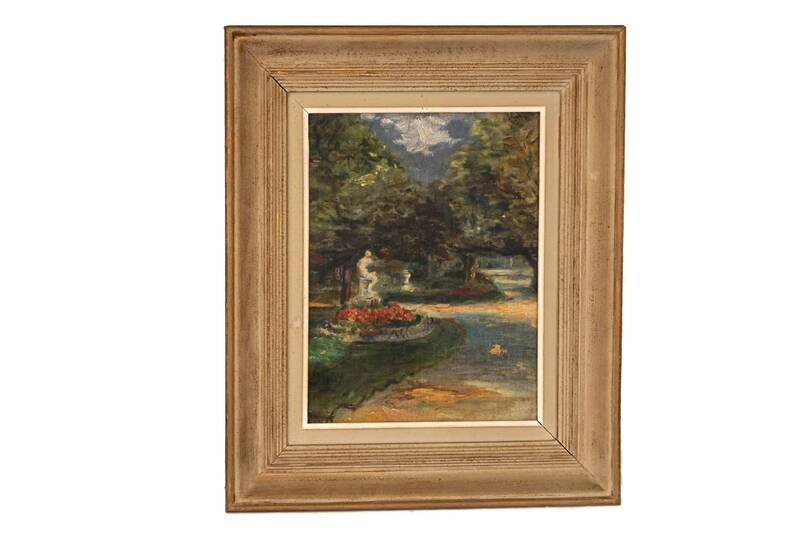 The antique French romantic art piece has been painted in oils in an Impressionist style on a canvas covered board. 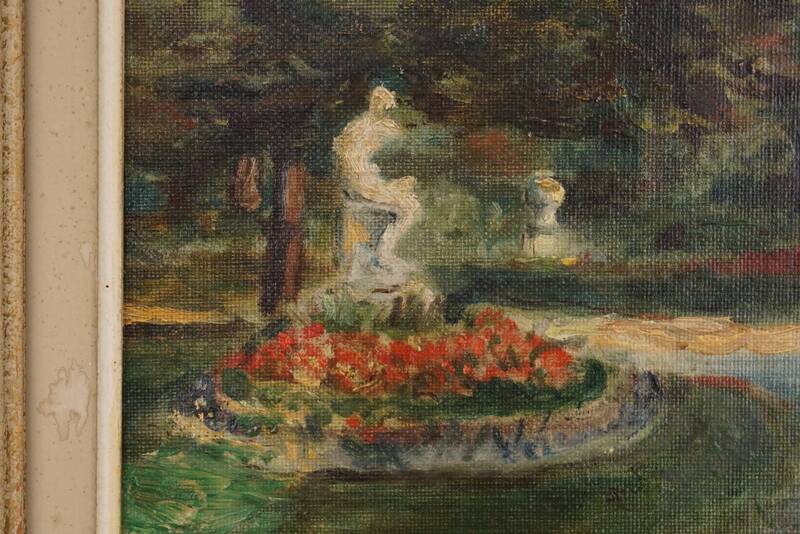 It portrays a statue of the Luxembourg Gardens with flowers along a shady path. 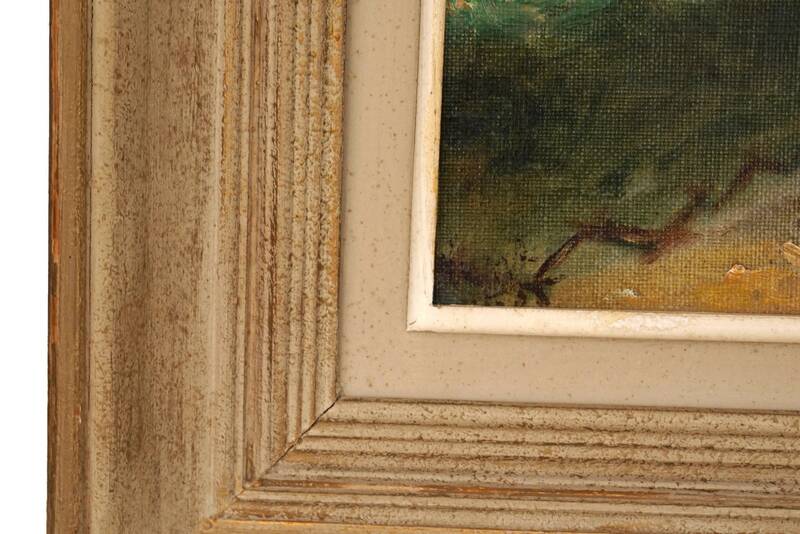 It has been mounted on a broad beige wooden frame. 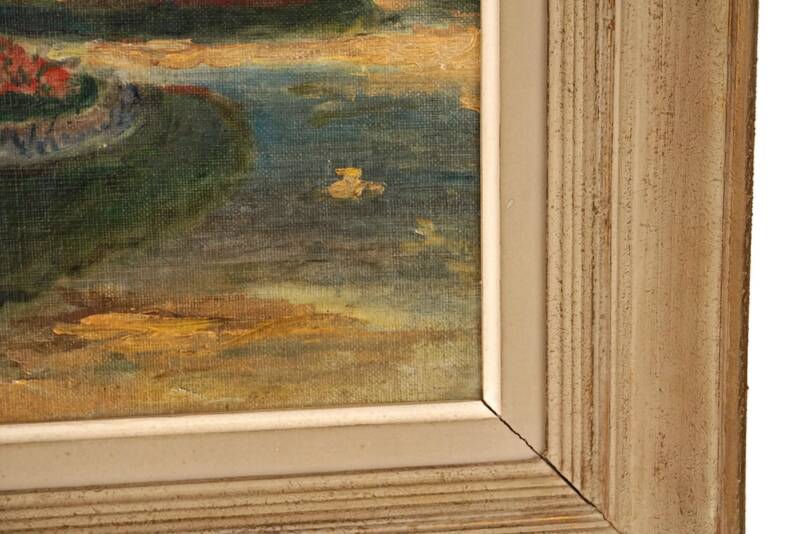 The painting has been signed by the artist (to be identified) on the bottom left corner. 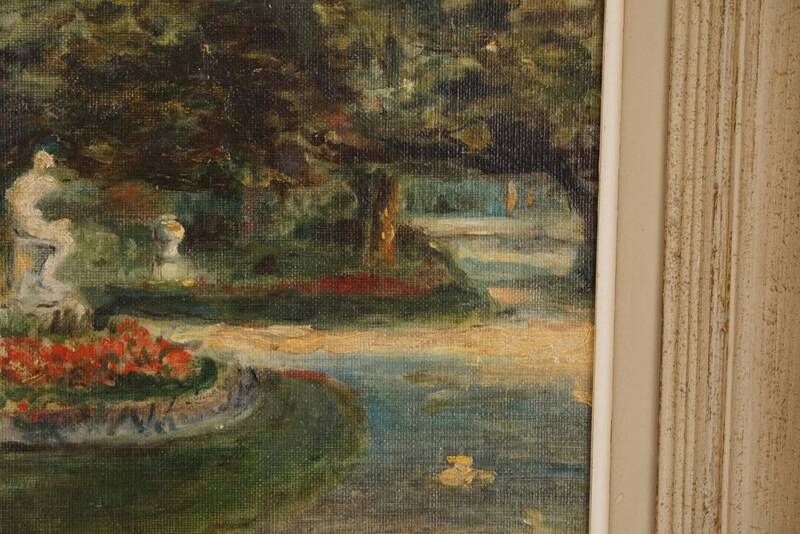 The artist has also signed on the reverse side with the title of the painting and the date 1905. There is still the original sticker of the framer. 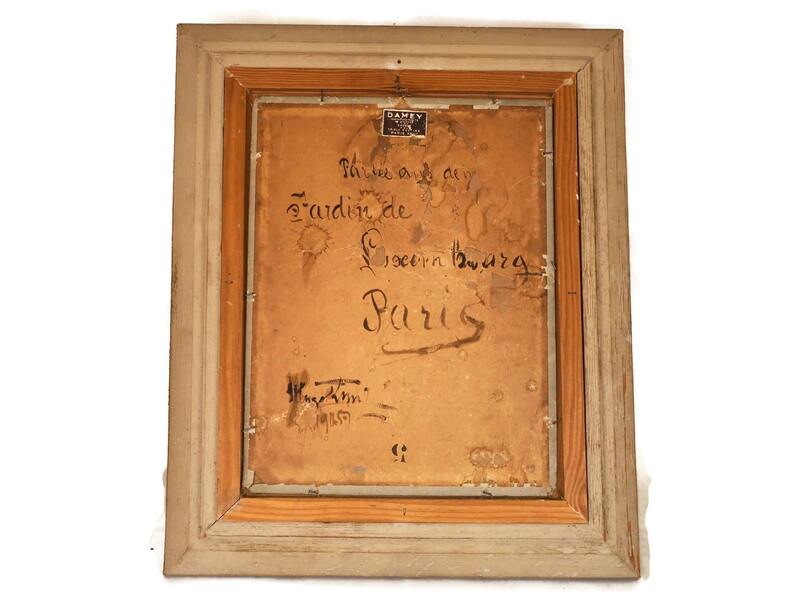 Frame: 20" Tall x 16,5" Wide (50 cm x 42 cm). Canvas covered board: 13.75" Tall x 10.5" Wide (35 cm x 27 cm). 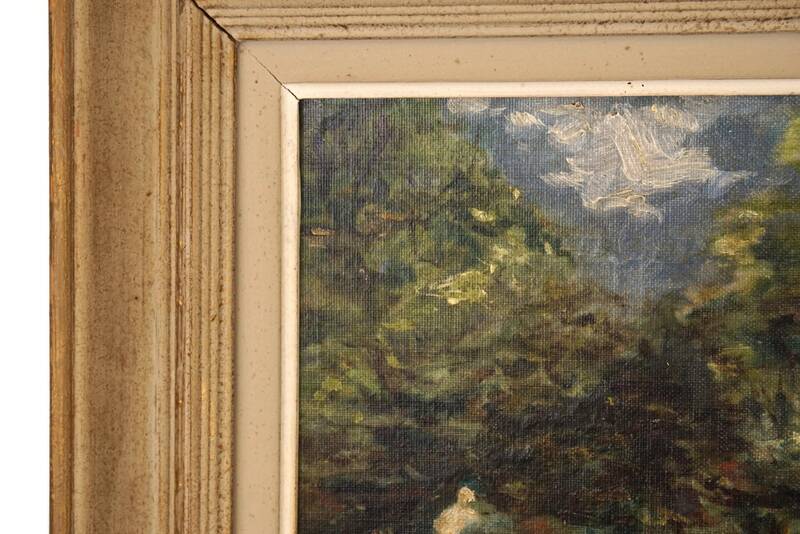 The antique French Impressionist painting is in very good condition. 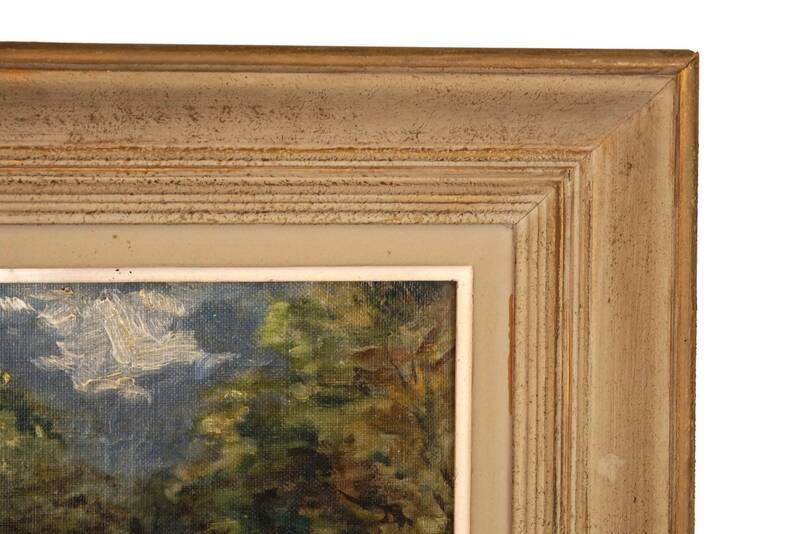 The frame has some light signs of age and wear. 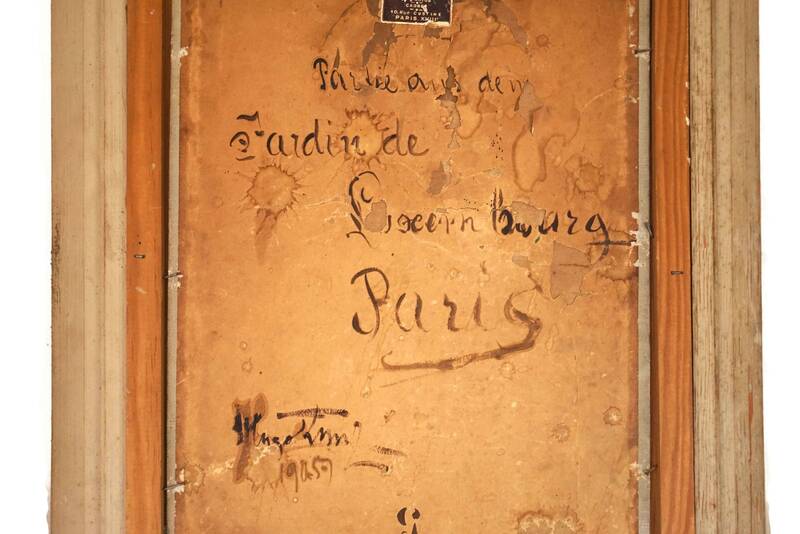 The paper covering the back of the board has surface marks and is torn in places.